The AEX loaded power house. Pros - Plenty of Details, very crisp, clear and transparent, energetic highs, stage size, ergonomics, build quality. Cons - Vocal notes are thinner. 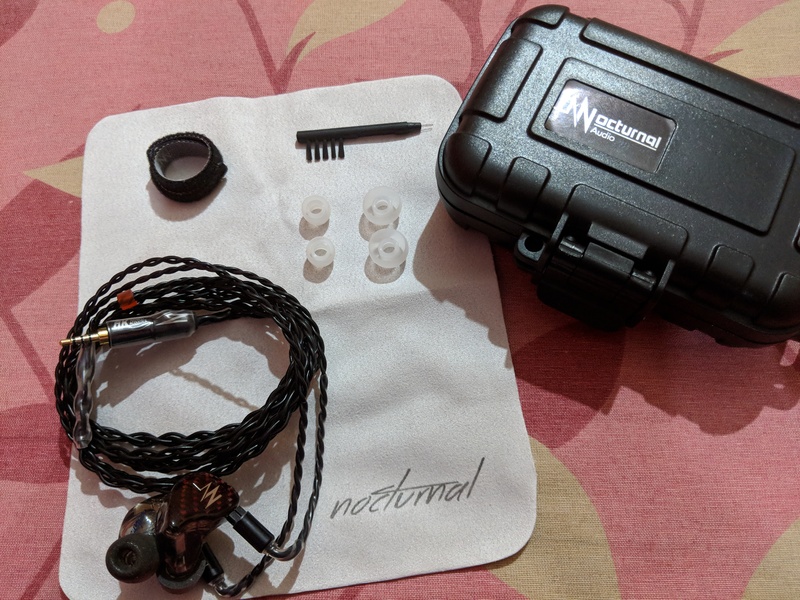 Nocturnal Audio is a Singapore based Earphone company, specialized in both custom and Universal earphones and cables. They have 3 earphones in their quiver as of now. First of them is the Gorham with 2 BA drivers, priced at $365, $435 for CIEM. 2nd is the Avalon it has 3 balanced Armatures, priced at $500, $570 for CIEM, and the totl is the Atlantis with a Quad driver setup, priced at $636, $706 for CIEM. 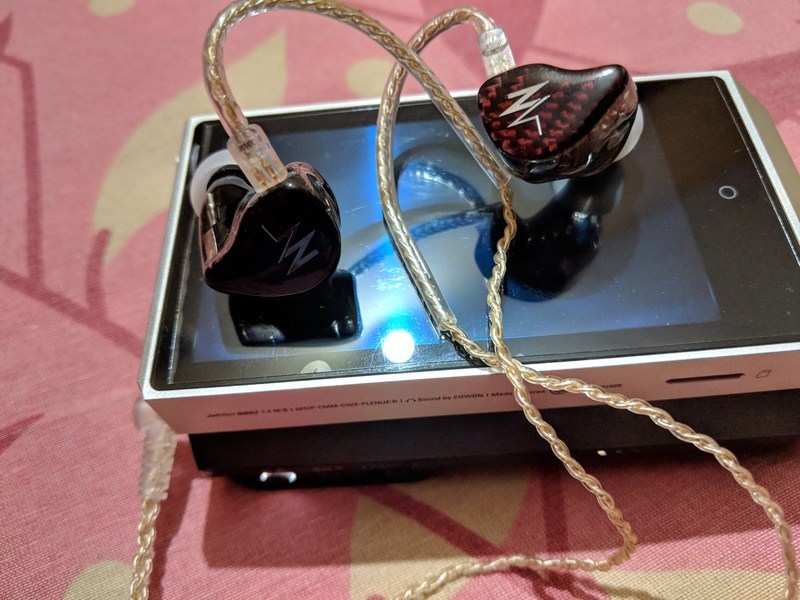 I am reviewing the Universal Avalon here, it houses 3 BAs, one for bass, one for mid range and one for Treble. Tuned with a mix of unique tuning and crossover technologies called "AEX", it also uses a solid capacitor for high pass filtering. It has a Dual Horn bore design. "Avalon's unique performance was created with a combination of our unique electrical & acoustic crossover tuning technology we call 'ÆX'. 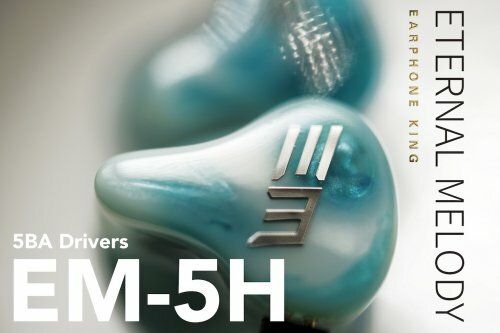 With 3 balanced armature drivers working in sync, low frequencies reaches deep with incredible speed, highs are also layered and buttery smooth." 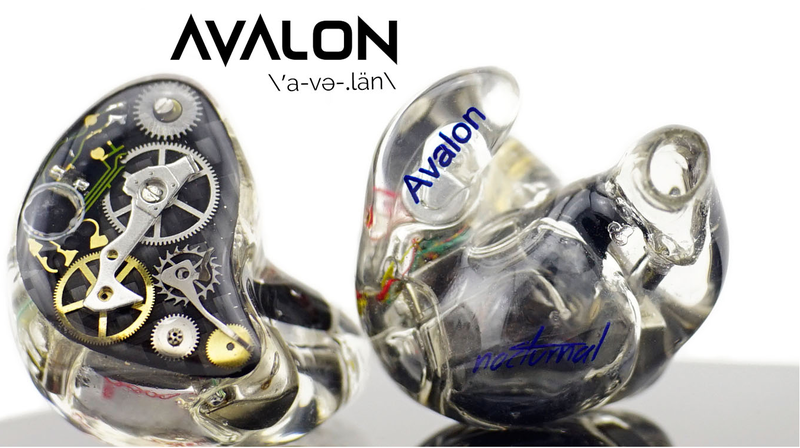 The Avalon goes head on with iBasso the IT04, Noble Savanna, westone W40 and many more. 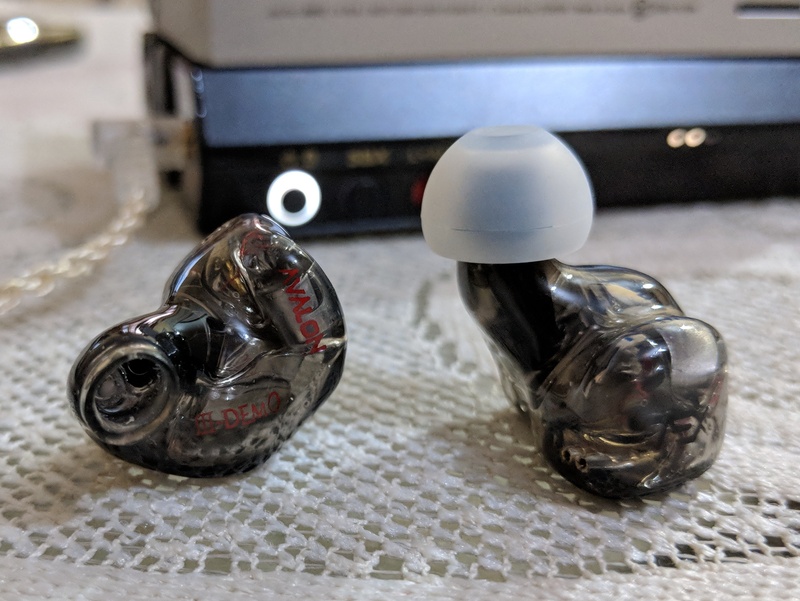 I am comparing the Avalon with the 64audio U3, EE bravado and Fibae 3. Doesn't ship with this black cable. This is the Stock cable. The Avalon doesn’t come with any retail box, it ships directly from nocturnal in a cruchproof, waterproof case. Nicely padded to protect the earphone from any type of damage. One will find a 2pin stock cable, cleaning cloth, cleaning tool, velcro cable wrap and 3 pairs of tips in the box. "Gaze into the shells and the exotic tuning technology that creates ÆX will be on display. From solid capacitors, resistors to the specially treated low frequency sound tubes, each component coming together in a mechanical harmony. In short, Avalon possess an incredibly lively & energetic sound you will not get tired of." 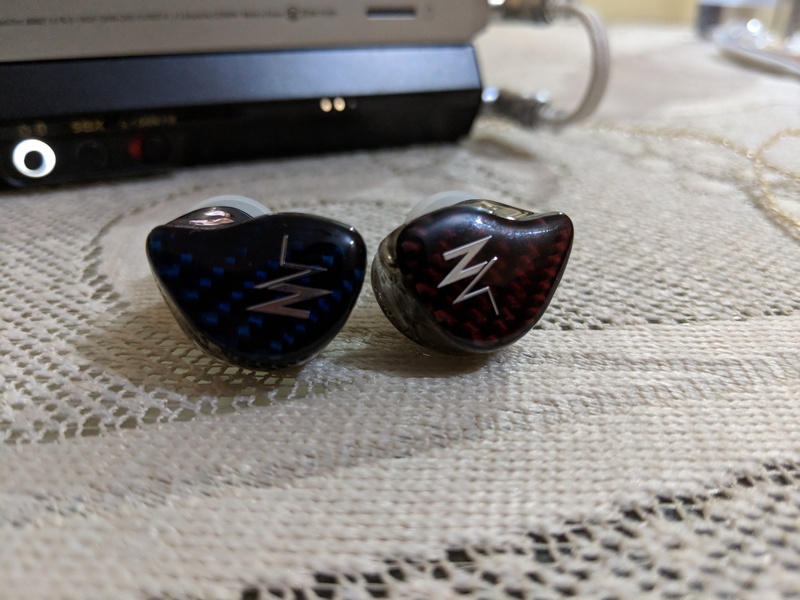 There are many customization options available from Nocturnal, some are some are with extra cost, I stuck with a basic design (paid extra for the back plates). As far as build is concerned the Avalon feels very solid and sturdy. 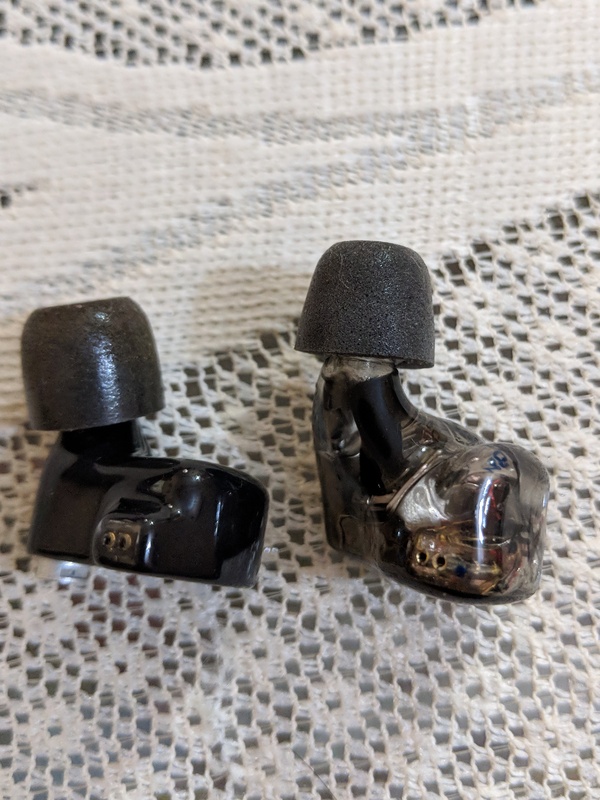 Its Acrylic and unless you decide to drop the earpieces on solid floor (deliberately trying to break them), I don’t see any problem with the build. On the inside it implements a two bore design, one for Bass and mid and other for highs. There is no vent in the shell, a BA don’t need one any way. The bigger problem with the Avalon is its nozzle, mine is a universal demo unit and its nozzle is huuuuugeeee!! Biggest nozzle size I have ever seen on an earphone. 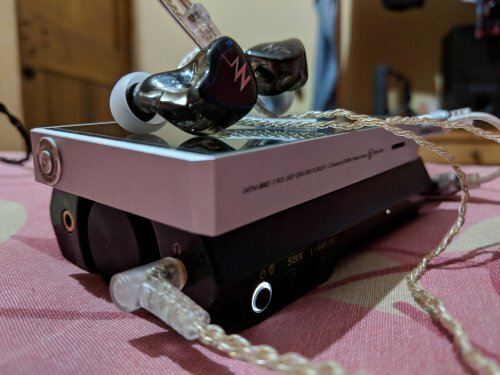 Putting on the tips that came with the Avalon is not easy, but I am very very good at that.. 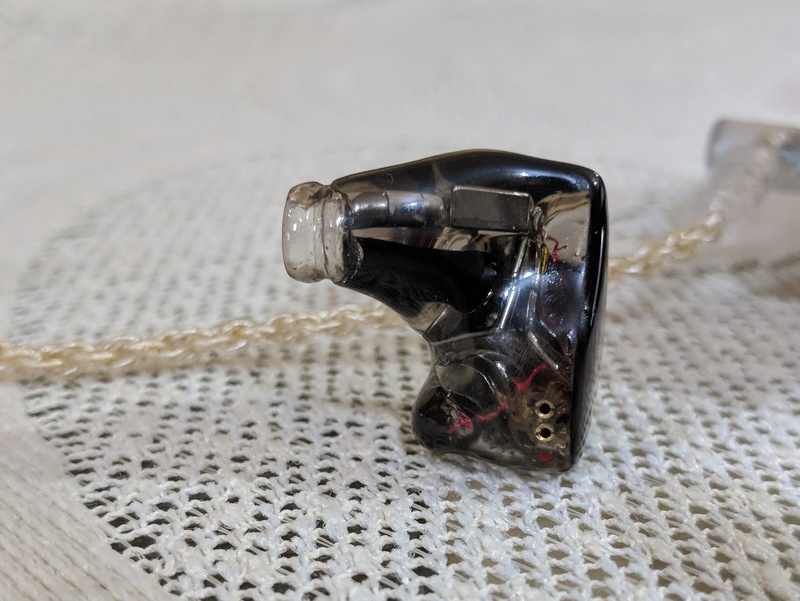 The Avalon comes with stock Nocturnal cable, it’s a 2pin silver plated copper cable, plenty good for average users, it's very supple and isn't bouncy at all, it comes with metal inserted cable guides and is reasonably comfortable and not microphonic at all. But along with the Avalon I ordered a 2.5mm balanced Pure silver cable from their Acrux series with 4 cores. 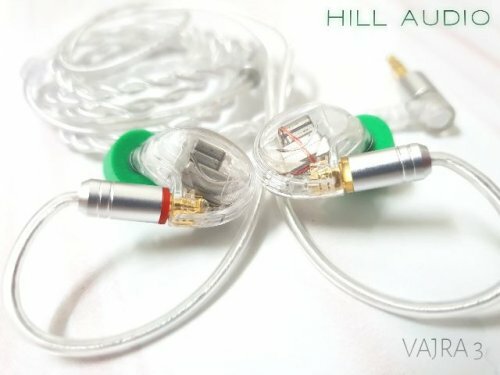 After all an earphone like Avalon deserves a special cable. It's one of the best sounding cables I own, sadly it's not supple and retains memory and is slightly microphonic too. 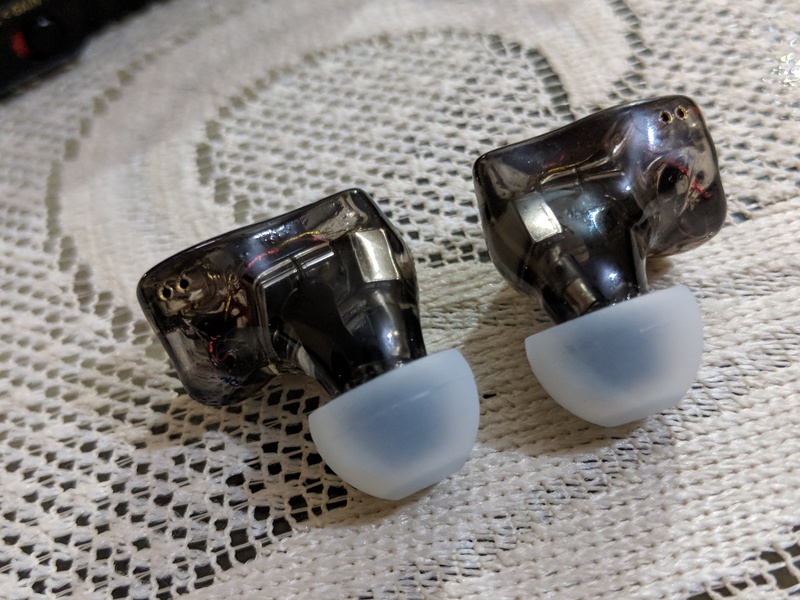 Once you adjust it a bit, the Avalon even with a wider nozzle and fitment in the shallower side is one of the most comfortable earphone thanks to its exceptionally ergonomic design. it perfectly fits my ears, thanks to the small fin it gets even better hold inside the ear. The cable guides give it a very secure fit, far better than most of the earphones I own. 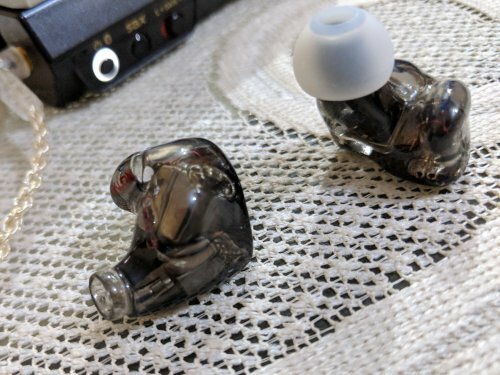 Due to the larger shell size it might not be the most comfortable earphone for people with small ears. 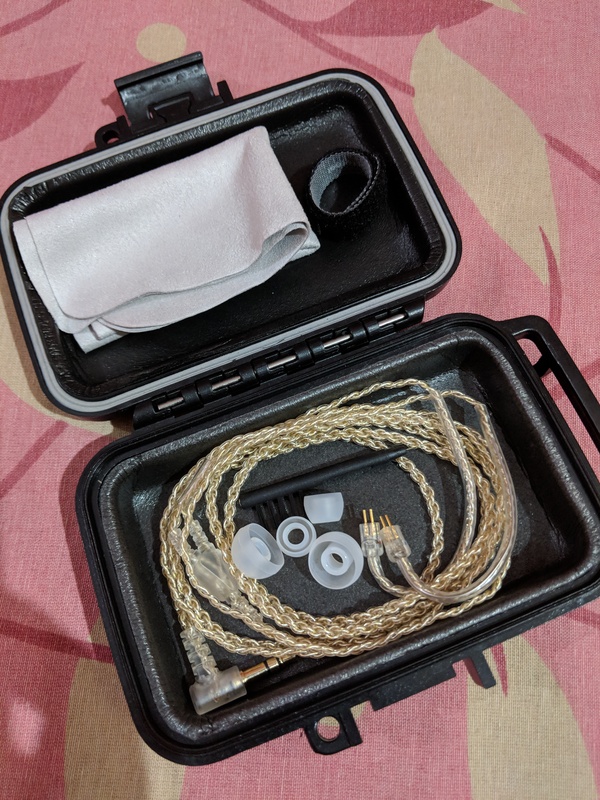 The fitment is not as deep as something like the Audiofly AF1120 hence the isolation is not the best, still well above average, one does not need to worry about the passive noises in the background. I find the Avalon to be very articulated, precise and accurate in other words. "Our philosophy to do more with less drivers continues with the Avalon. Packing 1 low, 1 low/mid and 1 high balanced armature drivers in a 3 way crossover design. Tuned in a "V shaped" sound signature, delivered with incredible agility and virtuosity. If the reference sound is too boring the Avalon will thrill you." The Avalon is tuned for a more fun kind of presentation with balance in back of its mind, with a laidback mid range positioning. 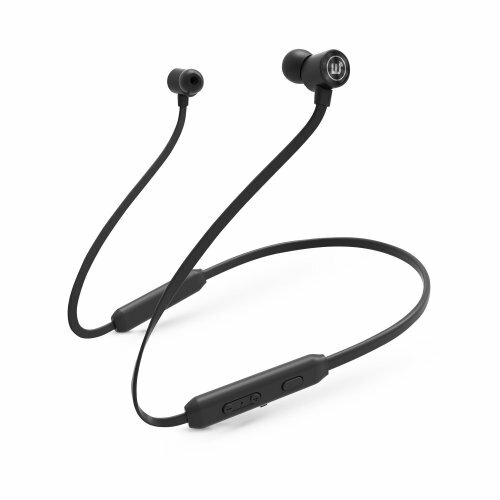 In my books it still qualifies as a fairly balanced earphone, but against the ER-4P or the AF1120 its V shaped. The treble region takes the center stage here with plenty of lower treble energy. 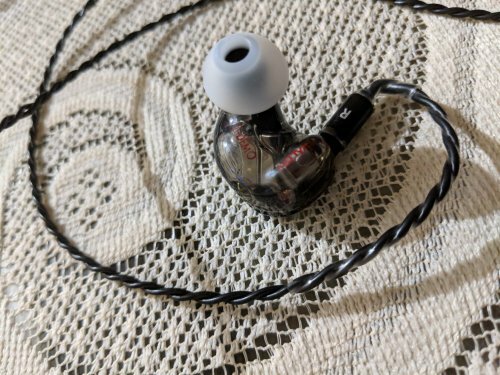 The Avalon is one of my favorite earphone at this point of time, Along with the DUNU DK-3001 and Fibae 3. It has an inoffensive sound signature and is loaded with details at the same time. It is slightly colored with a brighter and warmer tonality. 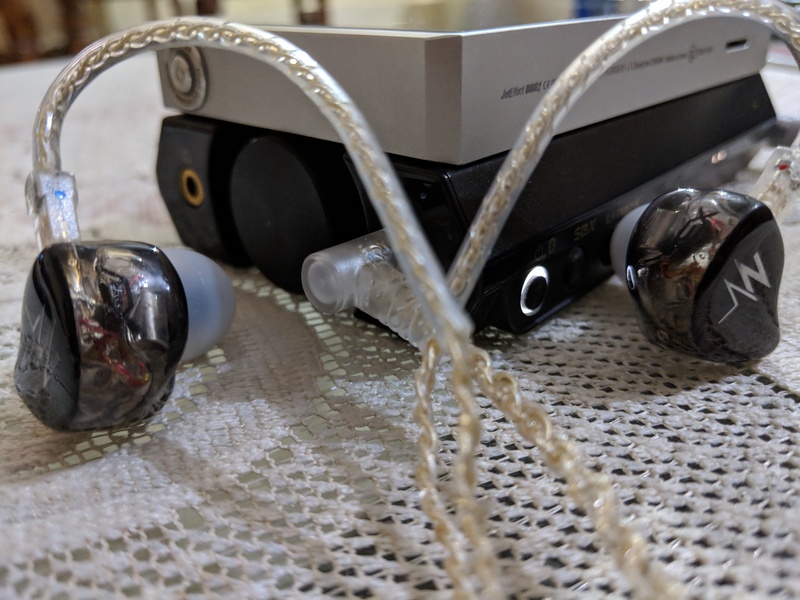 Properly burned in for 120hrs, I am using NOC Acrux 2.5mm cable for this review and the source is the Plenue R.
Nocturnal is not much keen on sharing the sensitivity figures but with just 12.5ohm resistance the Avalon is very easy to drive and is loud enough. No need to amp, but amping helps with a bit more energy to the top end and the bass gains a bit more body. You can drive the Avalon out of any portable device, it is very easy to drive it, people intending to use it with their mobile devices might miss out on some micro details but it is still very good. 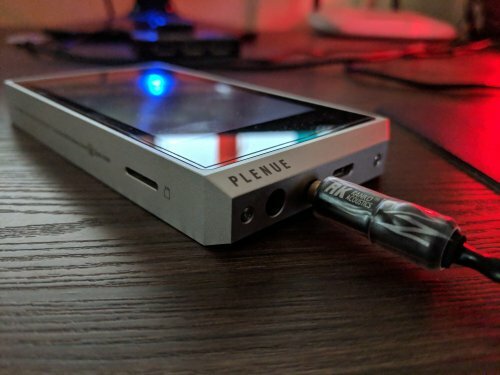 I tested it with Plenue D and Shanling M2, it matches pretty well with them. 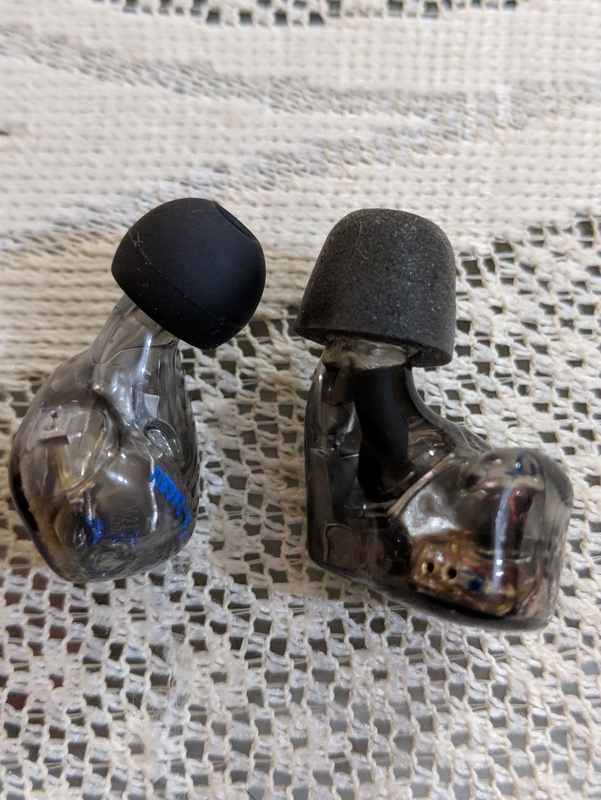 The Avalon's lower end is handled by one and half BA drivers, there is one dedicated Driver for bass, and another driver most probably shares the upper bass region with the mid range driver. Even though the Avalon is a BA based earphone, it doesn’t sound like a typical BA earphone, It has a livelier and more organic feel to it. which is not the case with other earphones like the Audiofly AF180, AF1120 or the ER-4P. It's not linear at any point of the lower frequency region, but not as voluminous as the Bravado either. It delivers a punchier and airier bass compared to most of the accuracy minded earphones I have, it doesn’t lose the accuracy with the punch and level of precision is very good thanks to aptly aiding decay. Perfectly balancing the speed, which is neither too fast to make it sound dry, nor too slow to make it feel heavy. 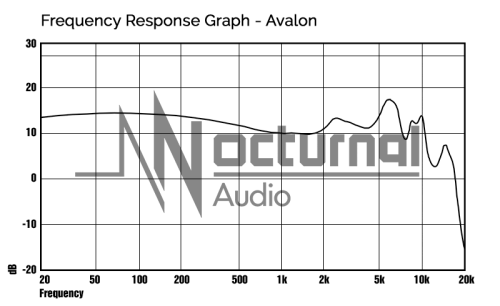 The Avalon lacks a bit of sub-bass extension, it reaches audible range at around 30hz and rises steadily from there, giving mid bass most of the emphasis. This rise in energy gives the Avalon a fuller meatier feel. Sub-bass still makes it presence felt when there is enough energy in the track for that region. Mid bass is always present though, aided by decay, it doesn’t annoy thankfully. Upper bass too has good amount of energy and smoothly descends into the lower mids. Even though the Avalon is a bit mid bass minded, it delivers a very detailed and textured presentation with equally better transparency and resolution. There is an excellent level of balance of wetness to it, where others tend to sound a bit dry or overly wet. 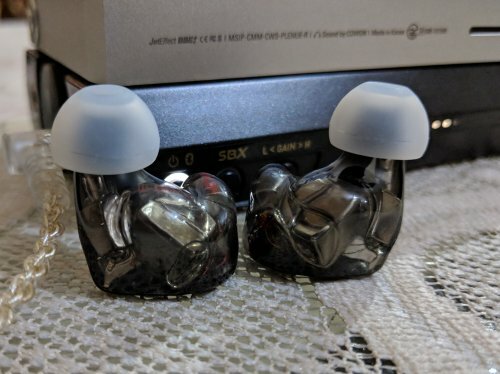 Those who found the flatter sounding earphones (i.e. ER-4P or AF180 or q-jays) lifeless, will find the Avalon more engaging and cohesive. Reading into the specifications reveals that the whole mid range is basically taken care by half a driver, a driver which is responsible for a part of lower frequencies too. Maybe that is the reason why the Mid range has taken the back seat here. 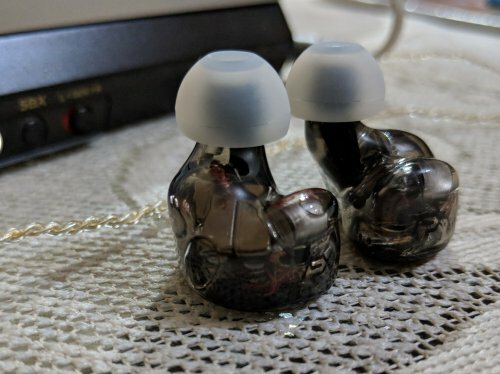 It definitely lacks the level of forwardness exhibited by other accuracy minded flatter sounding earphones. The mid range is projected marginally below the level of bass and treble. giving it a V shaped signature. Note thickness from upper bass reduces considerably as it arrives at lower mids giving the lower mid range a thinner tonality, it doesn't lacks energy but is more sharper with slight faster than required decay speed. There is not a single trace of bass bleed here, if you were worried about that at all. Thanks to this sharpness all the instruments sound crystal clear and very crisp with plenty of air between them. At the same time it loses some juice and sound slightly less musical. The upper mid range do gain more energy and notes thickness. Some might find it on the aggressive side but for me, something without spikes and peaks is fairly comfortable. Vocals sound very very clear and crisp, the decay as I said takes a bit of body away in exchange for outstanding transparency. Male vocals sound marginally thinner but female vocals are a delight with good amount of bite. Vocal notes are presented with slightly above average note depth and sharpness with plenty of texture, resolution and transparency, with this it aims for accuracy instead of trying to be pleasing. 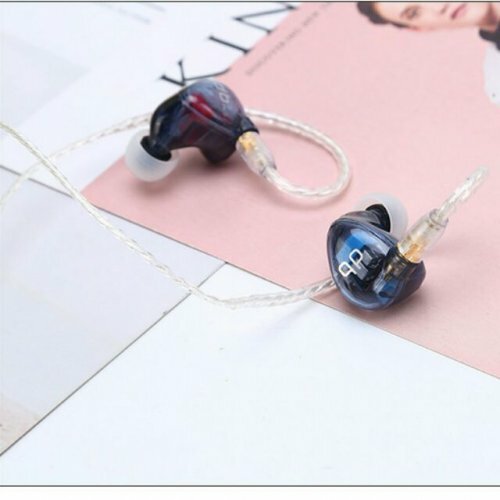 Even though the Mid range is in the V, it has a big chunk of the stage which is very wide and tall, the depth is good but slightly lacking in comparison to the depth oriented Fibae 3 or the DK-3001, which is the stage king in this price range. Highs are a total delight with the Avalon. 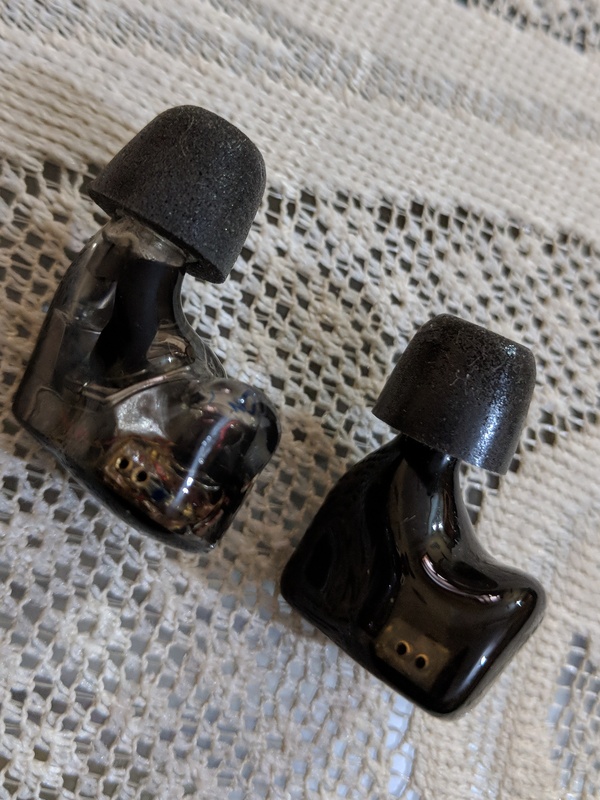 Most of the earphones try to go with a more smoother presentation resulting in less energetic and spark-less top end, making things sound veiled in the process. The Avalon doesn’t try any of these tricks. The higher end frequencies are full with energy and boost a lively and sparky notes presentation with plenty of bite to them. Extension too is very good, not as endless as the Audiofly AF1120 (that is an earphone to admire top end extension) but maintains good amount of energy till the end. Transition from upper mid range to the treble is very good and with the extra energy intact, lower treble delivers some class leading clarity, resolution and details. It's not sibilant but if you like an inoffensive sound, you might feel the Avalon is charging at you, throwing energy which you might not be ready for. It can use a little less energy but its fine as far as I am concerned. It isn't overly aggressive but It's not as smooth as the ES3, 64audio U3 or the Bravado. Let it be pianos, trumpets or cymbals the sharpness and the finishing of the note along with the presentation is very good. If you are the kind of person who enjoys top end energy and spark, The Avalon will bring you plenty of satisfaction. It's just spectacular, for the price the amount of details, resolution and energy is up to the mark. 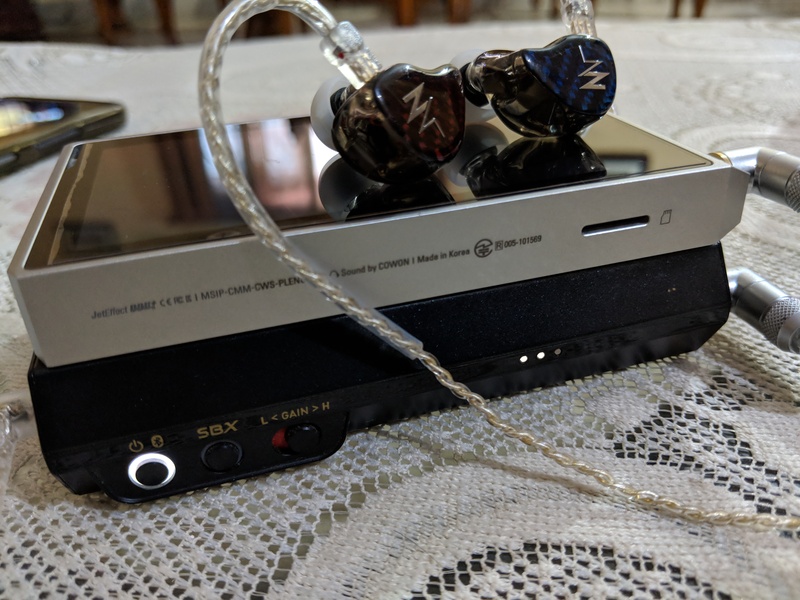 Needless to say that separation and layering is up to the class with good amount of air and space between instruments, with the complimenting stage size, the presentation of the Avalon's treble is nothing but a delight. The Fibae 3 is more balanced, has better bass extension, has more sub-bass and lesser mid bass quantity and body hence sounds a bit less engaging. Decay is faster, needless to say the slam is smaller. Mid range is more forward, slightly thicker and fuller over all with a bit juicier vocals. Avalon tends to sound more crisp. Highs are totally different, the Fibae 3 has marginally better extension with a considerably smoother lower treble presentation, upper treble has more energy, thanks to more forward and energetic upper mid and lower treble region the Avalon sounds like it has more resolution but can be slightly uncomfortable for some at the same time. 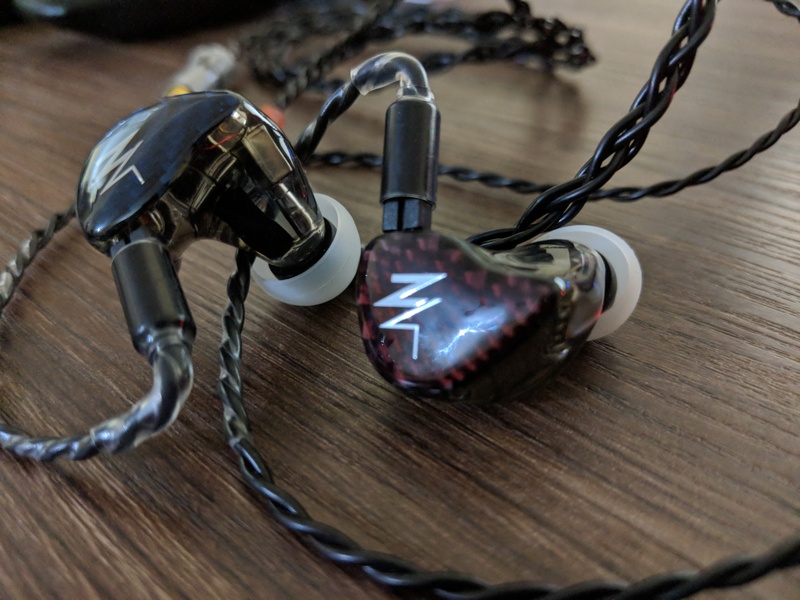 The Fibae 3 has better treble stage and is airier. Stage wise the Fibae 3 has similar width, lacks a bit of height but has more depth to it. Isolation on both of these is very good. Both have similar type of accessories but Fibae comes with pelican 1010 case. 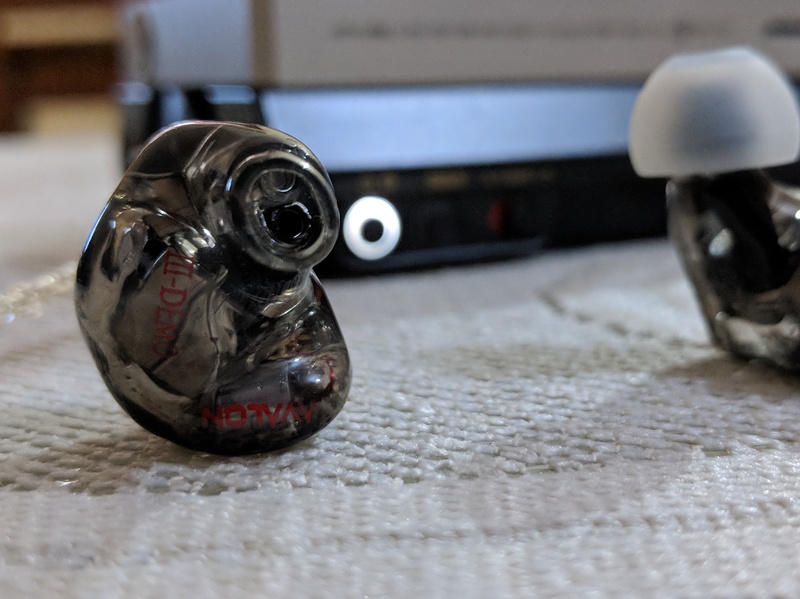 The bravado is not an accuracy minded earphone, it has fun in its mind. Has a huge bass response, has far better and deeper sub-bass, mid bass is not much prominent, upper bass lacks a bit of energy. Decay is considerably slower, everything sounds juicier and full bodied. Mid range of the Bravado too is in the slide. It sounds more natural with a fuller notes. Vocals are as smooth as silk, has equally good texture and sound more natural. It delivers a very inoffensive sound with more natural timber. In all this the Bravado loses micro details. Treble is very different here, too, the bravado has equally good extension but loses energy as it goes deeper into the spectrum. It has very good transparency and clarity, equally good layering and separation, sounds more tingly with some instruments. The Bravado sounds very very smooth, lacks any type of aggressiveness and some micro details. Stage wise the Bravado is bigger in every dimension but height. Isolation of the bravado too is equally impressive. It has far better accessories pack. The Bravado has plenty of resolution, similar to the Avalon but lacks a bit of details. 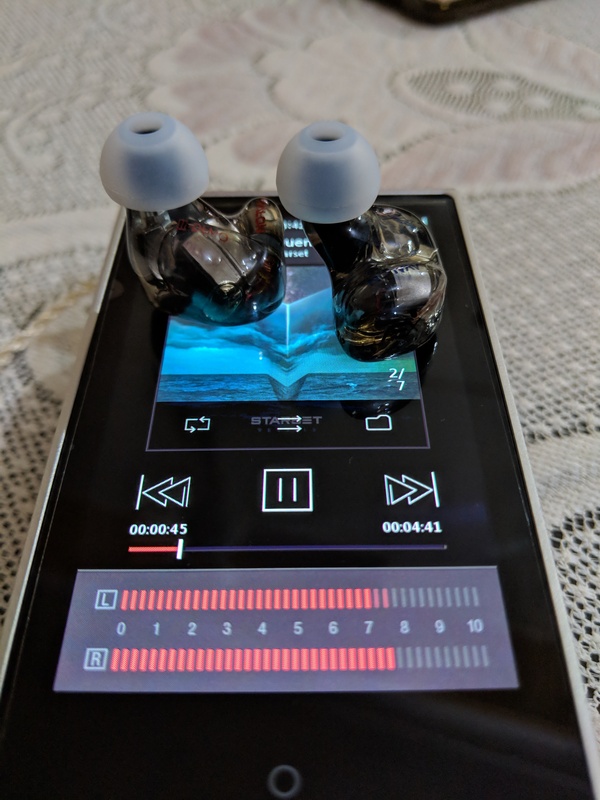 (just like 13mp sensors on mobile phones, which are inferior to the 12mp ones when it comes to details) But it is the most fun sounding, engaging, cohesive earphone of this lot. The U3 is the all rounder of its class. 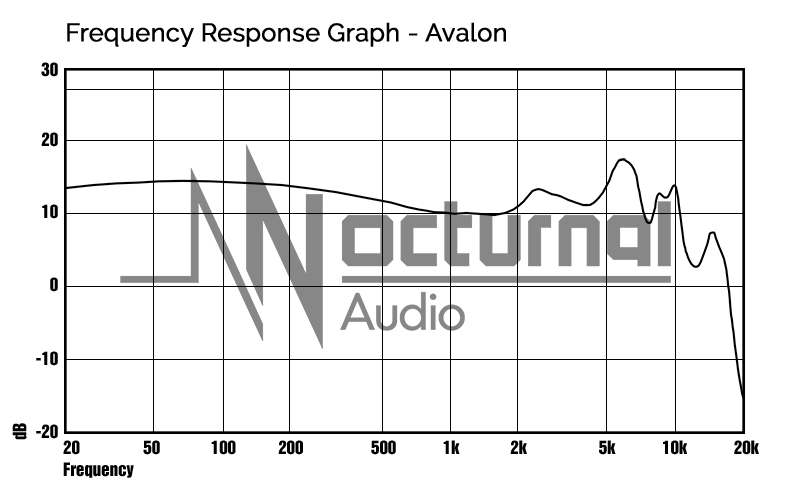 With a similar signature, it has more rounded bass response with better sub-bass presence, slightly less emphasized mid-bass and calmer upper bass. Decay is slightly slower, it delivers a fuller and meatier bass, moves more air and has more slam. Has good amount of of details too. Mid range takes the back seat but delivers more natural vocals and sounds slightly less cleaner. Details is good but lacks a bit of micro details. Cant compete with the Avalon when it comes to details. Treble has similar extension and is somewhere in between the Bravado and Avalon when it comes to energy, no sibilance at all. Has better treble stage and doesn’t lose energy till the end. Separation and layering is a bit inferior. Everything sounds slightly veiled when compared to the crispier and sharper sounding Avalon. No contest as far as details is concerned. Stage is smaller in every direction. The biggest problem with the U3 is it’s the least comfortable in this lot. Isolation too is below the Avalon. Has similar Packaging. The Nocturnal Audio Avalon is one of the best earphone I have till date. It is technically a far superior earphone against the 64audio U3, Earsonics ES3 and many other earphones in this price range. It competes very well with top performers in its price and excels at resolution and details. 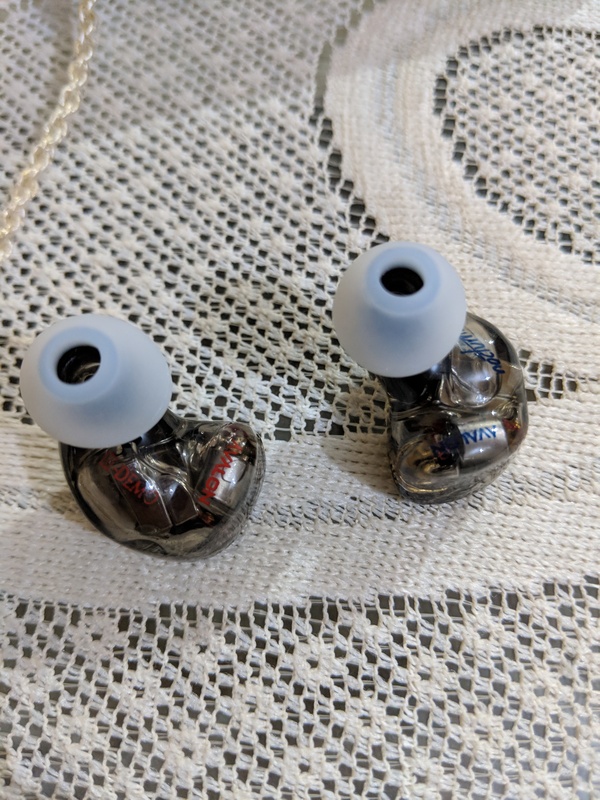 The Nocturnal Avalon has Accuracy in its mind and fun in its heart, it’s a very unique sounding earphone. With fantastic timber to upper mid and treble notes, it sounds very detailed and fun at the same time. 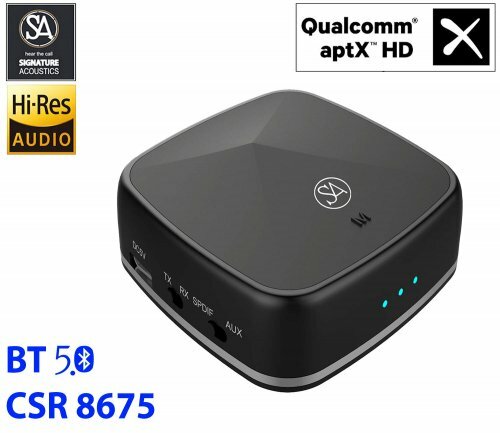 If you are looking to replace your Old one with something around $500-600, I will recommend these without a single doubt. Let it be fit, details, air, separation or layering, the Avalon performs admirably. Unless you are intolerant to upper mid, lower treble energy. Enjoy your music, have a nice time. Cheers! !